On June 12, I will be presenting “Possibilities of Queer and Feminist Methodologies in Quantitative Research: Findings from the ‘LGBT Workplace Environment Survey 2015’” at the Annual Meeting of the Population Association of Japan (PAJ). The panel session “Sexual Minorities in Population Studies: Current State of Research in Japan” is the first session on sexual minorities at PAJ, so I am very excited to give my presentation. NHK (Japan Broadcasting Corporation) News at 6 pm on September 5 covered the report meeting of the LGBT Workplace Environment Survey, and I got interviewed as well. On Saturday, September 5, I will be presenting the results of the ”LGBT Workplace Environment Survey 2015″ as a data commentator at the “Report Meeting of the LGBT Workplace Environment Survey: The Power of Data for the Improvement of the Workplace Environment in Tokyo 2015,” cosponsored by the nonprofit organization Nijiiro Diversity and the Center for Gender Studies at International Christian University. My first peer-reviewed journal article has been published in the 10th issue of Gender and Sexuality: Journal of the Center for Gender Studies, ICU. The 10th issue of Gender and Sexuality can be downloaded here. Hiramori, Daiki. 2015. “Shokuba ni okeru Seiteki Mainoriti no Konnan: Shunyu oyobi Kinzoku Iyoku no Tahenryo Kaiseki” (Challenges of Sexual and Gender Minorities in the Workplace: Multivariate Analyses of Income and Willingness to Continue Working). Gender and Sexuality 10:91-118. Abstract: This research analyzes the effect of being a sexual and/or gender minority on income, and the effect of discriminatory language and behavior toward sexual and gender minorities in the workplace on willingness to continue working. 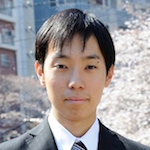 Utilizing the “Survey on LGBT Issues in the Workplace Environment 2014” conducted by Nijiiro Diversity, a nonprofit organization, the multiple regression analyses reveal that being a minority in terms of sexual orientation and being a transgender individual have effects on income, without control variables. With control variables, the association between income and identifying as lesbian or gay, identifying as bisexual when gender at birth was male, or being a transgender individual whose gender at birth was female became insignificant. However, even after controlling other variables, being a bisexual whose gender at birth was female, being a transgender whose assigned gender at birth was male, and possessing other sexual orientations had negative effects on income. This suggests that economic discrimination against sexual and gender minorities affects various categories of sexual and gender minorities differently. Further, findings indicate that the existence of discriminatory language and behavior toward sexual and gender minorities in the workplace has a negative effect on willingness to continue working. As this paper used a web survey, the conclusions should not be overgeneralized. The talk “Quantitative Research and Sexual/Gender Minorities” held at Naha Women’s Center on July 19 was featured by Okinawa Times. On Saturday, July 19 at 1:30 pm, I will give a talk titled “Quantitative Research and Sexual/Gender Minorities: Findings from the Experience of Participating in the Collaborative Research, ‘LGBT Workplace Environment Survey'” at Naha Women’s Center, Okinawa, Japan! This talk will be delivered as a program within an event called “The 1st LGBT Youth Meeting” (hosted by Over The Rainbow, cosponsored by Rainbow Alliance Okinawa). I will speak about the significance of conducting quantitative research on sexual/gender minorities as well as various problems arising from the research, based on my experience of participating in the collaborative research, “Survey on LGBT Issues in the Workplace Environment 2014” conducted by Nijiiro Diversity between February and March 2014. Also, I will share the summary of the results of the survey themselves. On May 3, I participated in the “Report Meeting of the LGBT Workplace Environment Survey: The Power of Data for the Improvement of the Workplace Environment” held by the nonprofit organization Nijiiro Diversity at Tokyo Women’s Plaza as a guest presenter. I am very excited to enter the graduate program in sociology at the University of Washington. UW Sociology is one of the graduate schools that I really wanted to attend, and I am looking forward to meeting with people at UW in September! Welcome! You have reached the website for Daiki Hiramori. I am currently a graduate student in the Department of Sociology at the University of Washington. This site contains various information about my current research projects and other activities. If you have any questions, please feel free to contact me. Here is my UW profile page. Copyright © 2019 HIRAMORI.com All Rights Reserved.